The Gateshead-based motor dealer Vertu announced the £2.4m acquisition of a Sheffield car dealership. The firm, which runs a network of more than 100 sales and aftersales outlets across the UK, took over the Harratts of Wakefield site, which operates two sales units representing the Nissan and Volvo brands. The deal included a freehold property valued at £1.75m. IT services firm TSG invested £1m in a research and development division to spearhead a series of new products. The Newcastle-headquartered firm, owned by former Sage director Graham Wylie, established a dedicated 15-strong team to focus on R&D in a move it said would cement the business’s expertise in its chosen markets. The announcement came after the company posted a 5.7% drop in turnover for 2013, following a year of weak investment in technology solutions by SMEs. Strong investment at the Port of Tyne led to the business breaking its own records for cargo handling and passenger numbers, new figures revealed. The thriving firm achieved its highest cargo volumes for over 50 years in 2013, handling 8.1m tonnes of cargo – a boost of 22% on the previous year’s record of 6.5m tonnes. Of the total river cargo, 97% was handled at Port of Tyne-owned berths, and imported coal and wood pellet volumes were at the highest level ever recorded, with almost 5m tonnes of coal and 1m tonnes of the relatively new cargo of wood pellets. Passenger numbers using the port’s international passenger terminal at North Shields also rose, setting new records for both the daily Amsterdam route operated by DFDS and for cruise passengers. The Bannatyne Group closed a £92m deal that freed it of its bank debt with the failed Anglo Irish Bank. 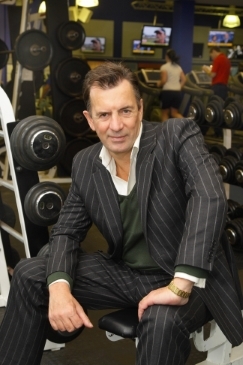 The Darlington-headquartered business – headed by Dragon’s Den entrepreneur Duncan Bannatyne – reached the agreement with M&G Investments for the sale and lease-back of the ground leases of 39 Bannatyne’s Health Clubs. The group said the deal provided a strong platform for future development and continuing profits. Mr Bannatyne said: “This deal has been reached with one of the most successful investment businesses in the world. Property company the Malhotra Group submitted a £5m investment plan to Newcastle City Council to redevelop a residential scheme as the business geared up for several further investments. The proposed plan would see the construction of 16 apartments and two luxury penthouse suites with underground car parking, leisure facilities and concierge services at the Grove, in Gosforth. Working closely with _Space Architects in Newcastle, the full planning submission for the Grove Gosforth includes a multimillion-pound regeneration of a property that has lain derelict for six years. The Malhotra Group, which employs around 1,000 staff, runs divisions specialising in care, leisure, finance, property development and investment.